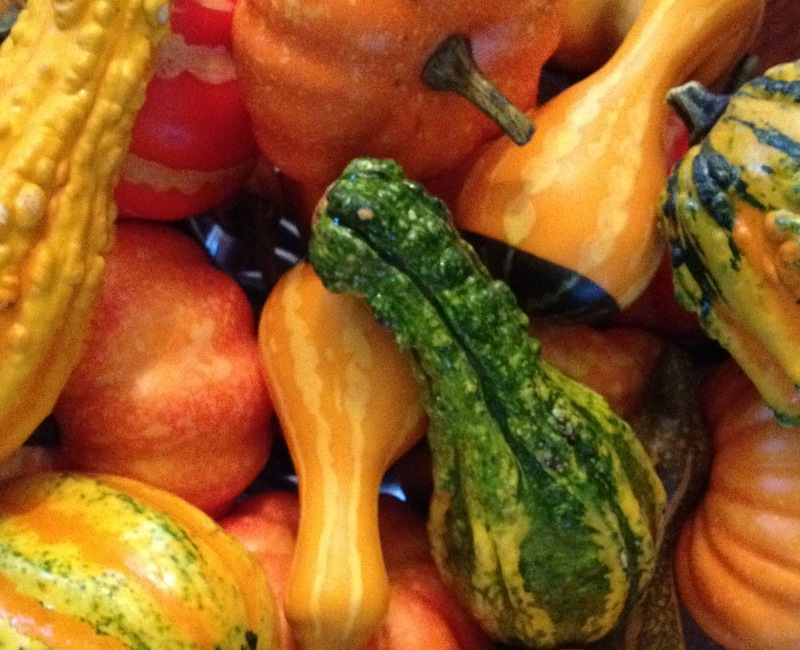 Describing gourds was always a fun fall activity with my younger students. 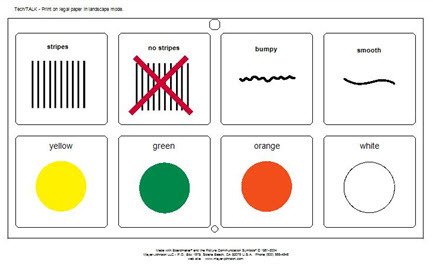 In addition to color words, textures such as smooth, bumpy or rough can be introduced. Talk about those with stripes and those gourds that don't have stripes. It was very exciting when my students showed that they could use multiple characteristics to describe the gourds. I usually used a voice output device such as a TechTalk or a CheapTalk for visual support and auditory cues with this activity. I made the overlay below and it is posted on BoardmakerOnline.com. If you don't have a voice output device, cut the buttons to make a choice board and your less verbal students can pull-off the characteristics that they want to use to describe the gourds. I do describing gourds with my students as well! Although I love your visual :). Thanks for sharing! Thanks! It's a favorite activity. I like your blog and posted it on my blog page. I thought that your last post about the 5 Minute Articulation Therapy was great and plan to pass it on to SLPs in my school division who just started using it.